Royalty Care Home Health Services, Inc. offers assistance to patients in accomplishing their day-to-day activities. From grooming, light housekeeping to medical transportation, we can help every aging individual in order to make their tasks easy. 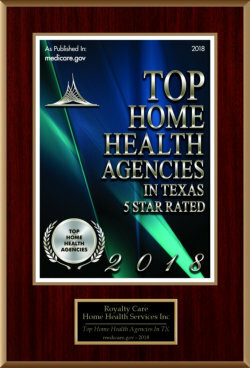 For more information about our services, call us at 512-244-4254. We are more than glad to assist you with any of your inquiries.